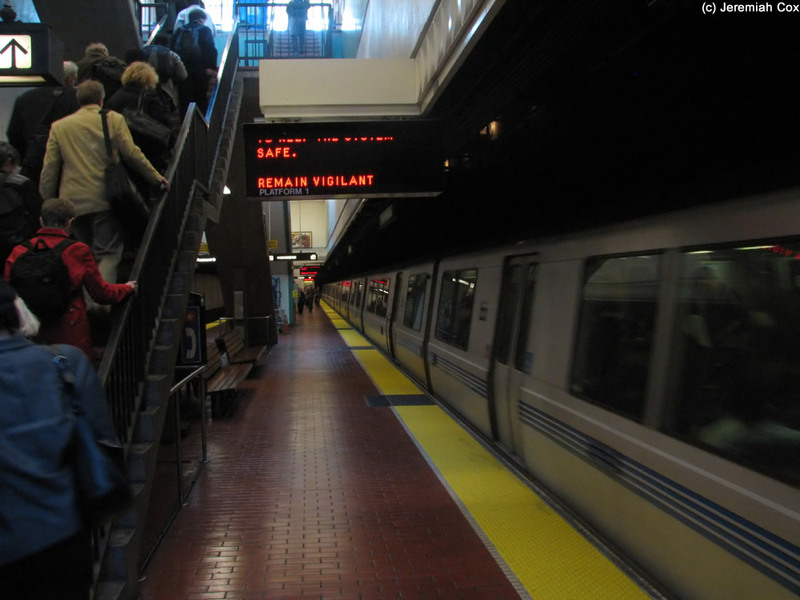 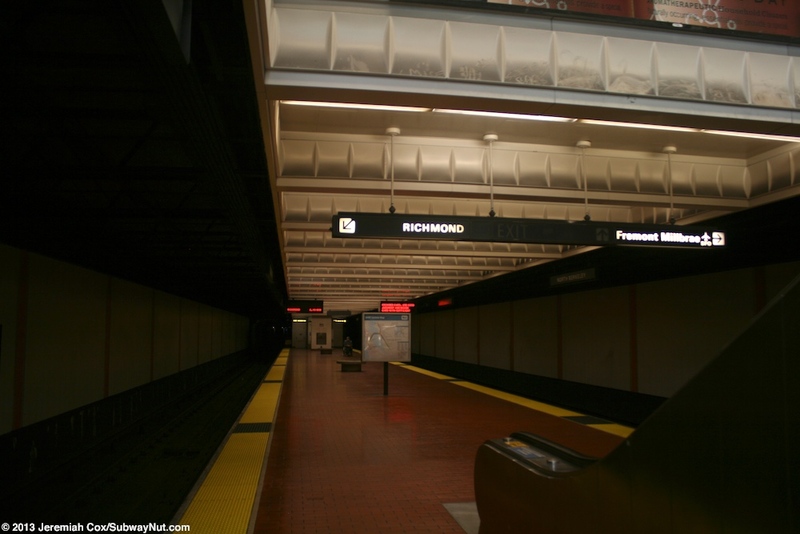 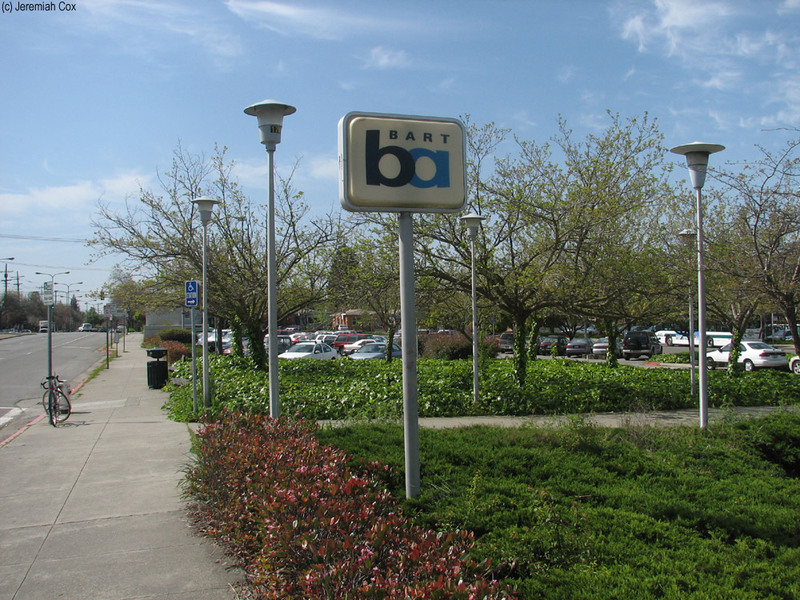 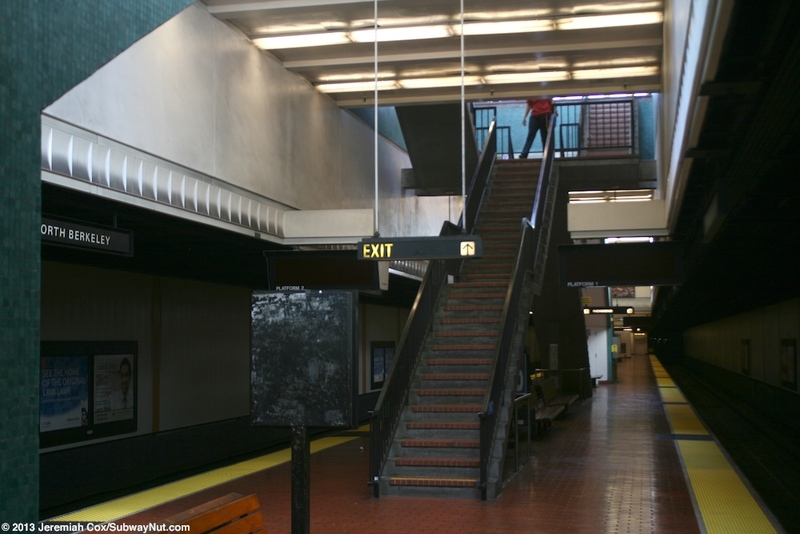 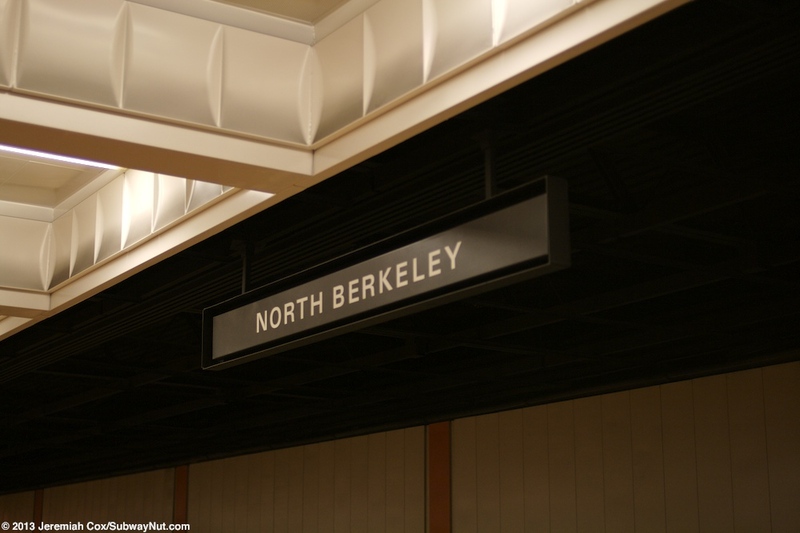 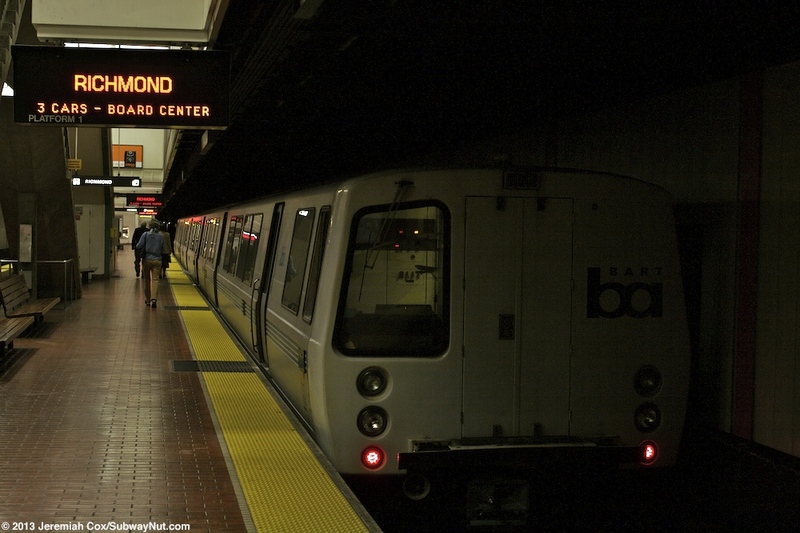 North Berkeley is an underground BART station with a single island platform and opened on January 29, 1973. 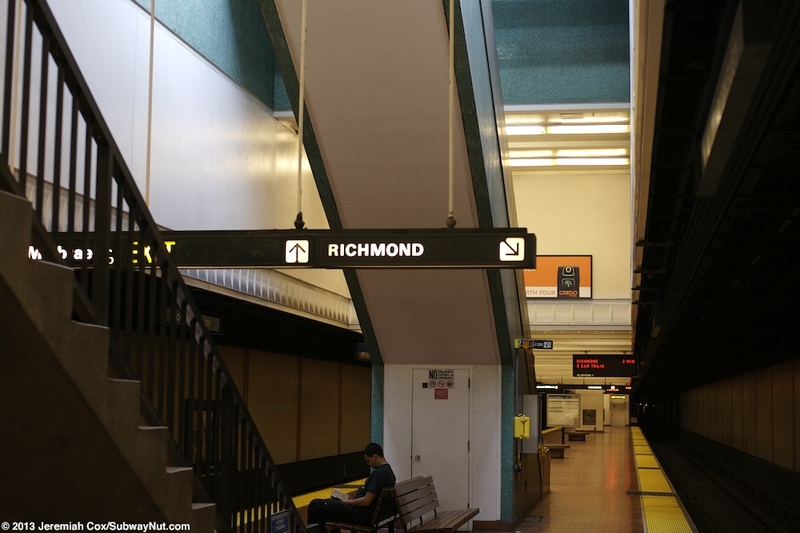 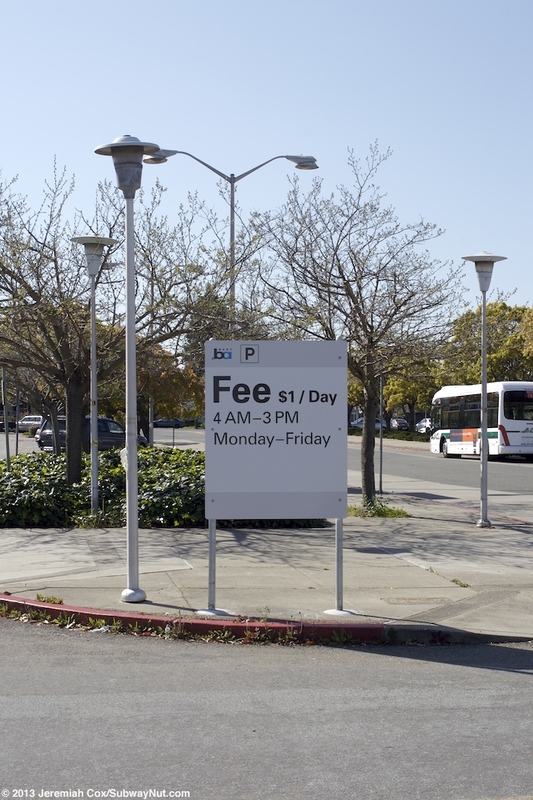 It was originally designed to be above ground until Berkeley Tax Payers decided to provide extra funding for BART's construction to keep BART underground through their city. 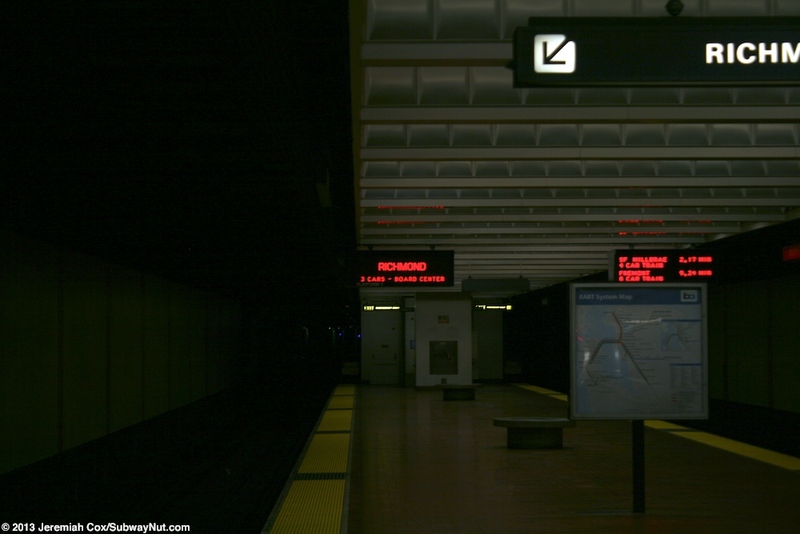 The island platform has white platform walls and a white ceiling, the platform floor is the usual brown tiling. 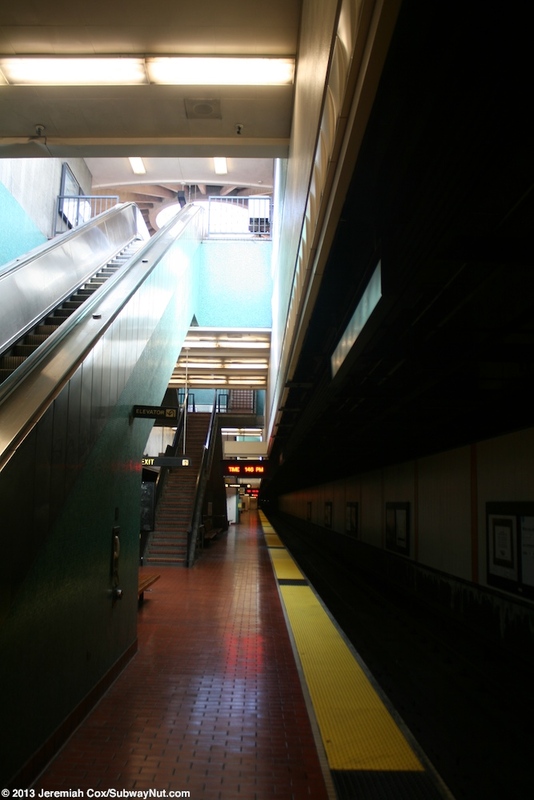 Blue tiles provide a bit of color along the escalators. 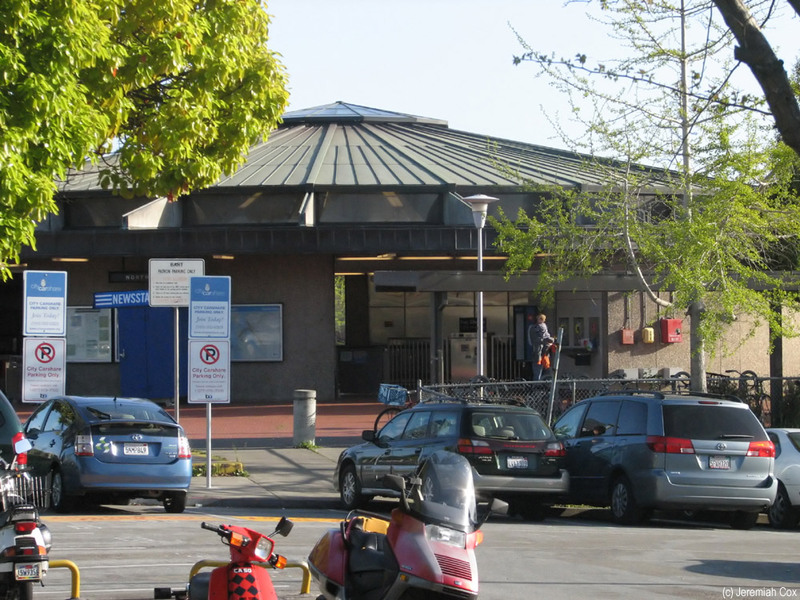 Fare control is located in a circular concrete station house at street level above the middle of the platform. 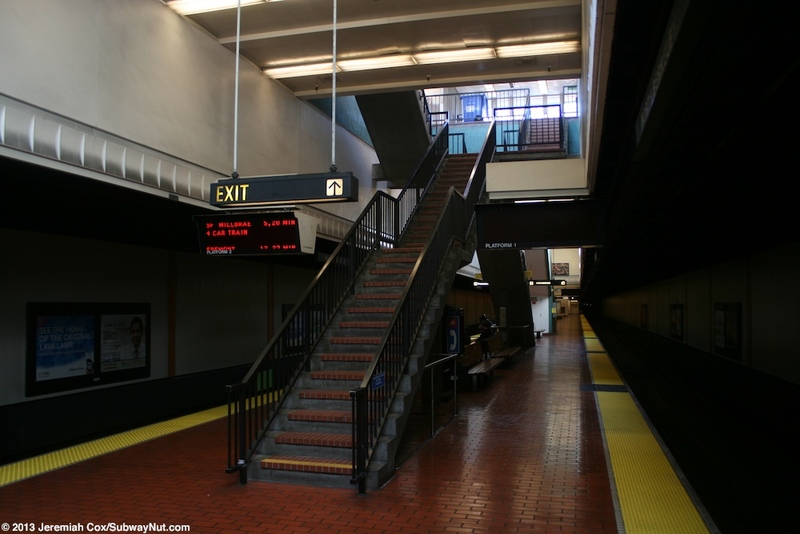 Two long staircases (that meet at an intermediate landing before diverging again) and two escalators lead directly from the middle of the platform up to this station house. 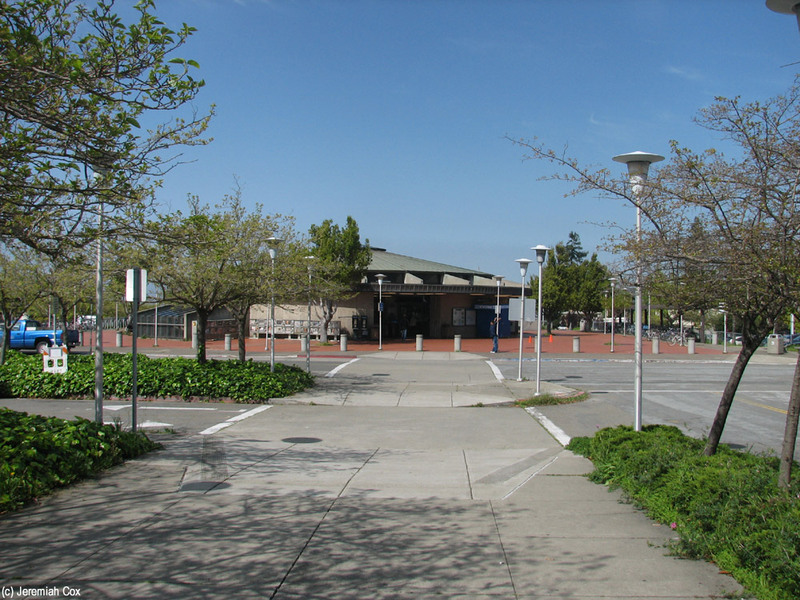 The station house is located in a small plaza (with bike racks and a bus loop) in the middle of the stations superblock of parking lots with 822 spaces charging a $1 fee bounded by Virginia Street to the north, Sacramento Street to the east, Delaware Street to the south, and Acton Street to the East. 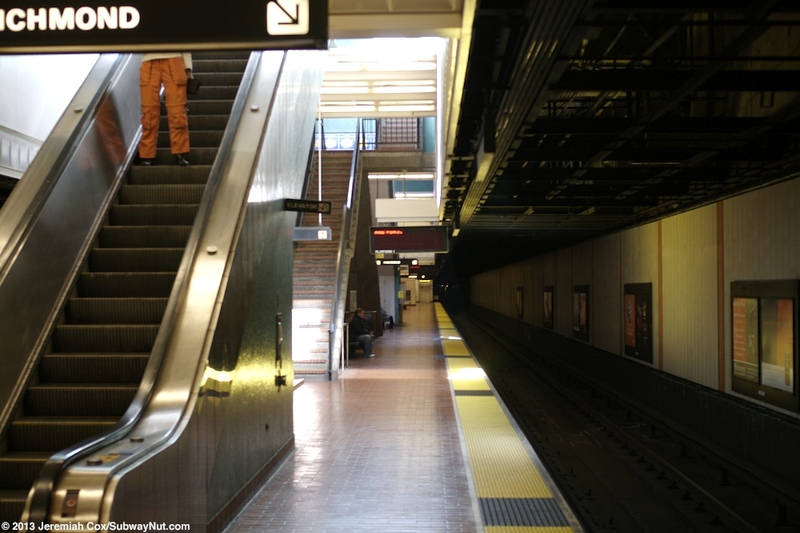 The elevator is completely separate from this arrangement. 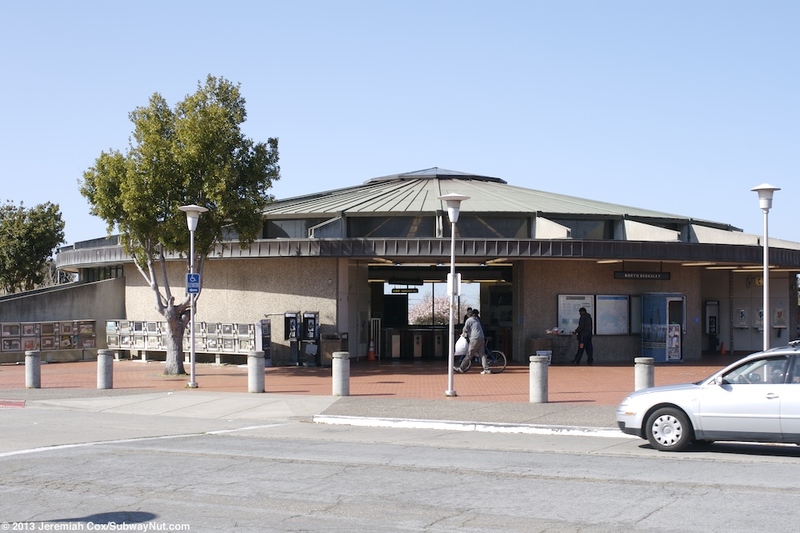 It is located at the southern end of the rail platform, has its own fare gate that leads up to Sacramento Street on the side of the station's parking lot (where the accessible parking spaces are).